As everyone now knows, Philip Corso burst on the Roswell UFO scene in the summer of 1997 with the publication of his book, The Day After Roswell. It was Corso’s story of his involvement with the flying saucer crash at Roswell, first as an officer at Fort Riley, Kansas, and later as a staff officer in the Pentagon, the Eisenhower White House, and finally on the staff of Lieutenant General Arthur Trudeau. Corso claimed that he had been responsible, under orders from Trudeau, for leaking bits and pieces of alien technology to American industry for reverse engineering, duplication and replication. There is no doubt that Corso had served as a military officer and rose to the rank of lieutenant colonel. He served in World War II and stayed on active duty until he retired and did work for Trudeau. Although he did say that he had retired as a full colonel, there is no evidence to back up this claim. It was during his assignment at Fort Riley that Corso was introduced, according to him, to the alien crash at Roswell. Corso, again according to him, was an above average bowler and because of his skill was invited to participate on a Fort Riley team by then Master Sergeant Bill Brown (which is a name nearly as common as John Smith for those who wish to attempt to learn more about this guy). Corso was surprised because enlisted men weren’t supposed to fraternize with officers at that time, but apparently Corso’s skill was such that the master sergeant took a chance and breached military protocol. The friendship that developed between Corso and the master sergeant, who he now called by the nickname Brownie, would play an important role in what would happen on the evening of July 6, 1947, after the arrival of a “secret” convoy. Corso was assigned as the post duty officer, in charge of security and as he described it, the “human firewall between emergency and disaster.” As he walked his post, checking the security, he failed to find Sergeant Brown where he was supposed to be. Instead, Brown was in the doorway of the veterinary clinic. There was something inside that Corso just had to see. Forget for the moment that Brown would have had no reason to enter the building unless there was some sort of a disturbance inside, or that the secret convoy of five “deuce and half” (two and a half ton trucks) with its accompanying “Low boy” side by side trailers would have been guarded by the men who brought them to Fort Riley to ensure that the contents were not compromised. Forget also that the best evidence suggests that the material from the crash was shipped by air to its various destinations because it was the quickest and safest way to move it and the 509th Bomb Group had access to a wide range of military aircraft. Corso, in his first-hand account, claimed that the convoy stopped at Fort Riley, and the Military Police assigned to it as guards were all armed, which, of course, they would be so that wasn’t unusual. These guards, once the material was secured in the veterinary clinic, apparently abandoned their posts to leave the guarding of the crates to the local soldiers. These guards would have been no reason to unload the cargo, so there is no reason that it would have been in the veterinary clinic but without this wrinkle Corso’s story collapses. Those local soldiers, being curious men, began to search the material from the top-secret convoy. What they found so upset them that they risked the wrath of the post duty officer and court martial by telling him that there was something he had to see. Brown told Corso that he had to take a look at what the convoy was transporting. Corso warned Brown that he wasn’t supposed to be there and had better leave. Brown, apparently ignoring this advice, which would actually have the force of a lawful order, said that he would watch the door while Corso snooped. Rifling the crate, Corso found an Army Intelligence document detailing that the creature was from a craft that had crashed outside of Roswell, which also doesn’t make sense. The documents wouldn’t have been stashed in a crate carrying the body. The paperwork appeared to manifest the remains, first to the Air Materiel Command at Wright Field, and then to Walter Reed Hospital for what Corso believed would be autopsy (which is in conflict with data provided by the late and former Brigadier General Arthur Exon). Of course, such a manifest would have been in the hands of the convoy commander rather than stuck in a crate where he wouldn’t have easy access to it. Corso, realizing that he was not supposed to have read the document, seen the creature, opened the crate, or penetrated the security around the cargo, put everything back the way he found it, and hurried outside. He told Brown that he had seen nothing and that he Brown, was to tell no one. That wasn’t, of course, Corso’s last brush with the Roswell case. 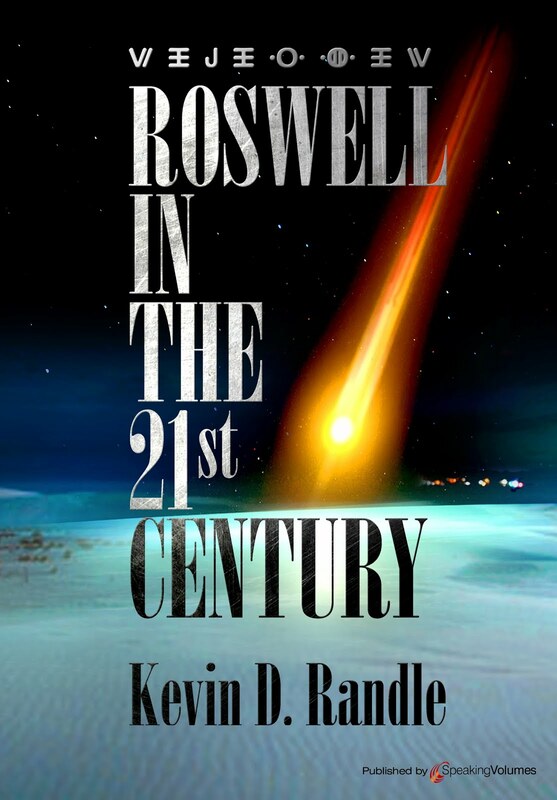 It was however, more than a decade before he again saw anything dealing with Roswell. Instead he had a number of military assignments, moving him to Washington, D.C., and then to Fort Bliss, Texas. At Bliss he was trained in anti-aircraft artillery, then assigned as an inspector of training and finally assigned as battalion commander for several weeks before he was reassigned to Europe. While at Bliss, according to Corso, he was assigned as the commander of the White Sands Missile Range. At least that is what he told reporters in the summer of 1997 as he was describing his background for them. In Germany, in 1957, he was a commander of a Nike battalion. In March, 1959, he became the Special Assistant to the Chief of Staff at the Seventh Army Headquarters. In May 1959, he became an Inspector General at Seventh Army HQ, and continued in that assignment for about a year. In 1960 he returned to the United States. In 1961, he was assigned as a staff officer of the Plans Division in Washington, D.C. and then as a staff officer of the Army’s Foreign Technology Division until April 1961 when he became the Chief of Foreign Technology. Three months later he was reassigned as a staff officer at Plans and less than a year later he retired. Corso’s job, in 1961, was to parcel the debris into American industry hands for research and development which doesn’t explain why he was exposed to information that was irrelevant to his assignment and in violation of the “Need to Know” rule. The idea here was to suggest to various companies that the small artifact or metal had come from an unknown source, which of course shows that there was no need to provide Corso with the background of a UFO crash. The expertise of the scientists at the companies was supposed to unlock the secrets of the debris. This led, according to Corso, to the creation of the transistor, night vision equipment, fiber optics, lasers, microwave ovens and a host of other recent developments though the scientific papers and history of the times suggests that this is not accurate. All of this was outlined in Corso’s book which became news in July 1997. He appeared on NBC’s Dateline for an exclusive interview. About a week later he appeared in Roswell for a press conference, a lecture, and a book signing. 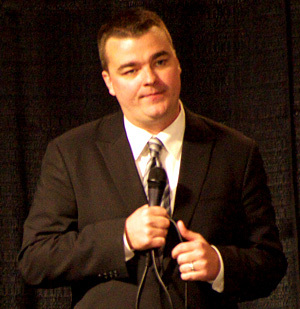 For three weeks in August, his book appeared on the New York Times bestseller list. 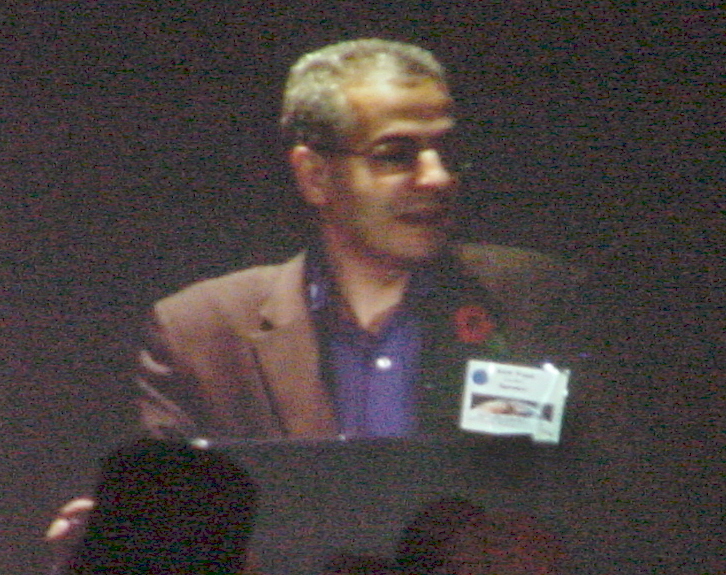 Corso was, in 1997, the highest-ranking officer to write a book about Roswell and to make public claims about the case of what he had seen and done (Colonel Jesse Marcel, Jr. now holds that distinction). According to him, he had been a member of NSC, had worked inside Eisenhower’s White House, and had served with the Army’s Foreign Technology Division. If he could be believed, then here was the truth about the Roswell crash. Finally a witness with impressive credentials had gone on the record. The stories told by Corso to friends and family are even more impressive than those detailed in his book. In a proposed chapter that was edited out of his book, Corso claimed that in 1957 he had taken command of missiles at Red Canyon, where he trained specialists in the management of sophisticated radar and range finding equipment. It was here that Corso saw a series of radar contacts showing objects that could outperform the best Air Force interceptors. Naturally the claims of Corso were subjected to intense scrutiny. Problems with his book began to arise almost immediately. For example, Corso had claimed to be a member of the NSC in the Eisenhower White House. Herbert L. Pankratz, an archivist at the Eisenhower Library, reported Corso was not a member of the National Security Council or its ancillary agency known as the Operations Coordinating Board. There was nothing to link Corso to the NSC. Corso, in his book, told of how he had intimidated the CIA director of covert operations after Corso learned the CIA was following him. He told Frank “Wiesner” that he was going to start carrying a gun and if he ever spotted a CIA agent following him, they would find the agent’s body with bullet holes in the head. Corso then noted that Wiesner was found dead in his London hotel room in 1961. Wiesner had killed himself by hanging, which is not to say that Corso’s threat so unhinged Wiesner that he committed suicide. The problem is that most of the facts used by Corso to support this story, from the claim that he had charged into the Langley Headquarters of the CIA, to the facts surrounding the death of Frank Wisner (note correct spelling) are wrong. Corso couldn’t have charged into the Langley headquarters because they weren’t opened when Corso supposedly entered the building. Corso couldn’t have driven to Wisner’s office as he claimed because, in April 1961, Wisner was, in fact, assigned to the CIA’s London office. Wisner did, eventually commit suicide, but it was with a shotgun, at the family farm, and on October 29, 1965. In what may be the most telling of the events surrounding the publication of Corso’s book is the Foreword written by Senator Strom Thurmond. Here seems to be an endorsement for Corso’s book from a man who has served in the United States Senate longer than almost anyone. When the book was published, Thurmond, objected, claiming that the Foreword he had written had been for a different book. The publisher, Simon and Schuster issued an apology and pulled the Foreword from future printings of the book. Corso tried to explain it away, saying that Thurmond’s staff had written the Foreword and that “the old man knew it” and that they hadn’t really known the nature of the book. The whole flap, according to Corso, was a misunderstanding about the nature of the book and who actually authored the Foreword. As a matter of courtesy, given the controversy, Simon and Schuster decided to pull the Foreword. The apology issued by Simon and Schuster was not as bland as Corso had characterized it but was, in fact, damning in its wording. It was clear that Thurmond did not know the nature of the book and that the outline he had read was for a completely different book. The publisher did remove the foreword from all subsequent editions of the book. This might seem as if it is an argument over trivia, but it does speak to the general attitude of Corso in constructing his book. If he was willing to mislead a United States Senator, one who Corso considered a friend, why believe that he wouldn’t want to mislead the rest of the country? The evidence is that he played fast and loose with the truth. 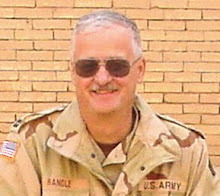 For example, it was Corso who said that he had been the commander at the White Sands Missile Range but a check of the Range’s website revealed that, with two exceptions, the Range had been commanded by a general officer. The first exception was Colonel Turner who had been the first commander, and the second was when a full colonel took over temporarily when the commanding general died. Corso’s name did not surface as a commander. However, as noted, his records indicated that he had been a battalion commander at Fort Bliss in El Paso, Texas. The two organizations, Fort Bliss and White Sands Missile Range, share some facilities. So, it might be said Corso was a commander at White Sands but not the commander. Clearly Corso was inflating his record when speaking to members of the press. During those same press conferences, Corso made other statements that were quite revealing. He mentioned the Philadelphia Experiment, a hoax that began in 1956 when a man claimed he had witnessed, during the Second World War, Navy efforts to teleport a destroyer. The story is an admitted hoax, but Corso began telling reporters about the event, claiming that he had read the top-secret files about it. Research into Corso’s claims showed that they were firmly grounded in the UFO community. Corso had read and reviewed everything that had been printed, published on the Internet, or shown in television documentaries over the last five or six years as it related to the Roswell case. There was nothing new in Corso’s book, except for his claim that he had seen one of the bodies at Fort Riley and then that he was the conduit for the alien technology to American industry. For evidence, he offered nothing more than his claim it happened and documentation offered as some sort of evidence had nothing to do with his claims. In fact, when Corso came into conflict with other witnesses, or information that was contrary to his point of view, he retreated. He appeared on a radio program with Frank Kaufmann but at every point of disagreement, Corso deferred to Kaufman as if Kaufman was the real authority. Kaufmann’s tales have since been shown to be untrue, a fact which Corso should have known if he had the inside knowledge that he claimed he had. The first of the pictures is of a well-known hoax. The photographer, Guy B. Marquand, Jr. told various UFO researchers, as well as the editors of Look, that he was sorry, but it was a hoax. He had been young and foolish and thought it a great joke. It would seem that if Corso was on the inside as he claimed, he would have been aware that this particular UFO photograph was faked. Given the information available, given the mistakes in Corso’s book, and given his inflation of his own importance during his military career, it seems that the logical conclusion is that Corso’s claims are of little value. They added nothing to what was already known, and certainly have detracted from the whole of the Roswell case. When his claims break apart, those who know little about Roswell become convinced that the whole case is built on structures similar to those built by Corso. There are a couple of things that I think need to be straightened out. First, as I was surfing the net (yes, I googled my name… Oh yeah, you’ve never done that) I discovered a number of my books were being offered as free downloads. There are apparently many out there who believe that if a book is twenty years old, there are no copyright issues. Well, this isn’t true. The books are still under copyright protection and the penalties for violation can be stiff. I attempted to download one of the books so that I could get a handle on the site and let the owners know that they were guilty of copyright infringement. But what they wanted was a credit card number. If the download is free, then why a credit card number? If they are selling something in conjunction with my books, then it changes things slightly. And one other thing about this. I do not understand the attitude of some that my work in producing the books shouldn’t be compensated in some fashion. I will note that of the cover price of a book, the writer receives the smallest percentage. Bookstores and distributors take something over eighty percent, which doesn’t leave much for the publisher and even less for the writer. Besides, I supply a great deal of information at this blog with no compensation at all. So, don’t attempt to download my books for free because you might end up paying for something and probably won’t get the books… and, I’m not about to make some great revelation about the things I learned in the military. This is one of the reasons that we have trouble getting science and journalism to take UFO reports seriously. It is one of the reasons that so many people have so little time for UFOs or who believe those seeing UFOs are deluded. This program, in the guise of a documentary, was filled with every half-baked idea, every conspiracy theory associated with UFOs, and every lousy piece of evidence available. It was horrendous. What surprised me was that some very respectable people… Nick Pope and John Greenewald to name but two… were on it. In fact, the program that featured Pope and the UK’s investigation of UFOs made some sense and provided some interesting evidence. It was clear from that program that a serious UFO investigation had been conducted by England’s Ministry of Defence and that UFO information had been hidden in classified files by the authorities there. animal mutilations and human abduction… Oh, and I don’t want to forget the big gunfight in the hidden base at Dulce, New Mexico in which dozens of US service members were killed. All this told as if it were proven fact. They even had some in the form of a newspaper article about an underground complex found in the middle of Los Angeles. We know it was a newspaper article because it said, right on the screen, “actual newspaper article.” Of course it didn’t provide a date for the article or the newspaper, but we saw it anyway with no way to check. We learned that UFO researchers believe this or that, but the UFO researchers are never identified. We learn, for example, that if what researchers believe about human history is true, then there is evidence for this alien infestation. Of course, we’re not sure exactly who those UFO researchers are or what those things about human history are and we know that if the first part of the statement is false, then so is the conclusion based on it. There really isn’t much to say about this series. 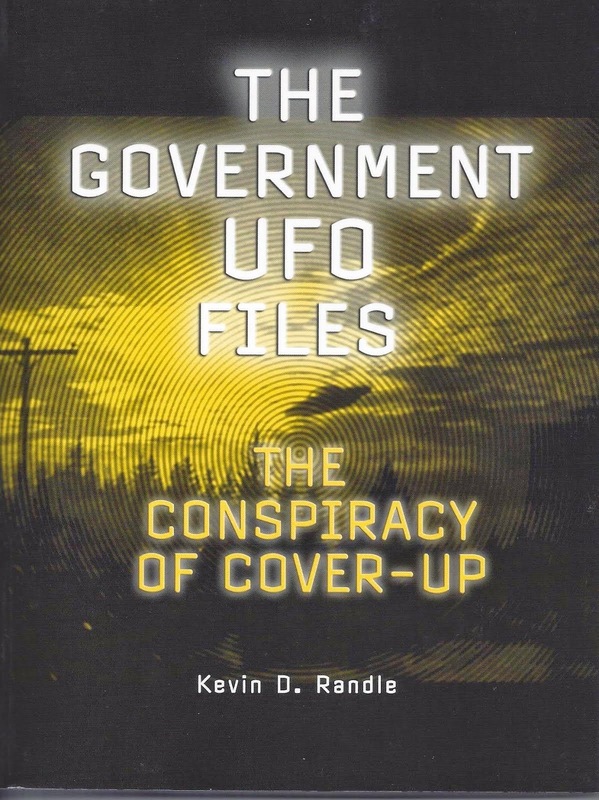 It is based on paranoia, the lies of some people who claim intimate knowledge of these clandestine events, and every rumor that has ever been spread inside the UFO community. This is the sort of thing that I have fought for a long time. People claiming military records and credentials who don’t have them, stories that can be checked through documentation such as the Foo Fighter incident centered around the USS New York that don’t check out, and the other nonsense that circulates through the Internet. If we are ever going to learn the truth here, we must clear away the nonsense around us. Unsealed: Alien Files just piles it deeper and deeper and makes the job harder and harder. We really don’t need this. *To support this Eisenhower visit they used a picture taken by Ella Louise Fortune near Holloman Air Force Base in October 1957. They claimed that Eisenhower met the aliens there for the second time in October 1957 but those paying close attention realized that the UFO expert talking about this event was talking about something that took place in 1964, or long after Eisenhower left office. Clearly the documentary producers were attempting to link the Fortune picture with the Holloman UFO landing, but the dates simply don’t track for those of us who have been around longer than ten minutes. This just gives an additional insight into the quality of the program… Oh, and I believe the Fortune picture is actually of a lenticular cloud…but that is a discussion for another time.